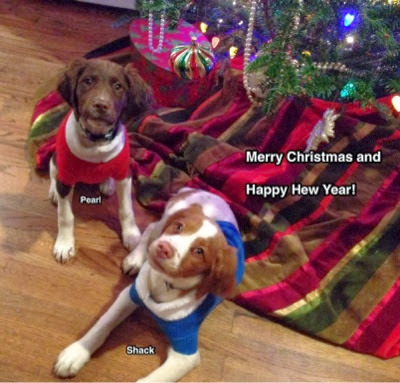 A Bird Hunter's Thoughts: Merry Christmas, my bird dog friends! I really like the saying, or prayer, I saw painted on a stone. It read, "Lord, let me be the man my bird dog thinks I am." Yep. I'd settle for that. Take time out from the madness and grab that dog, load up and go for a walk or short hunt. Be sure and pause to really watch him and see the effort he puts in to pleasing you. I thank God he gave us these marvelous animals. Perhaps, it was to demonstrate how he would like us to look at Him?